Joe shows us how it is done! A short day of fishing and he reels in these two beauties. Do you guarantee we'll have the same success, Joe? One for the record books... at least for Gary Colman and his fishing buddy (not pictured)... This is Gary Colman with the 2 beauties they reeled in. 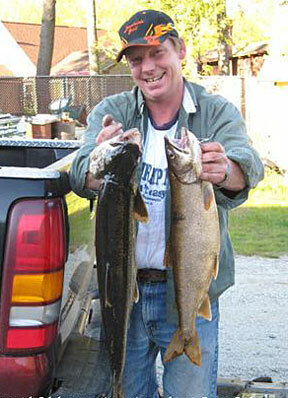 They lake trout, otherwise known as togue and they caught them both on Green Lake on May 25, 2008. Home to the Green Lake National Fish Hatchery, Green Lake is a wonderful place to cast your line whether your are a beginner angler or a tournament caliber master. Jenkins Beach has a boat launch facility if you bring your own boat or you can call ahead to reserve something from our rental fleet and we'll have it ready for you for your sunrise cast-off. 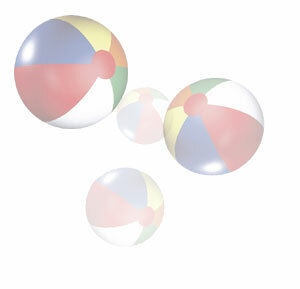 Don't forget your bait and tackle! 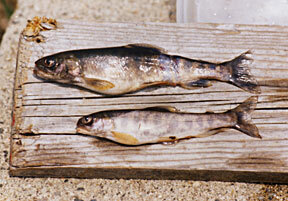 A rare fish found in a only a few Maine Lakes, the Artic Char grow about 8 to 10 inches in Green Lake. 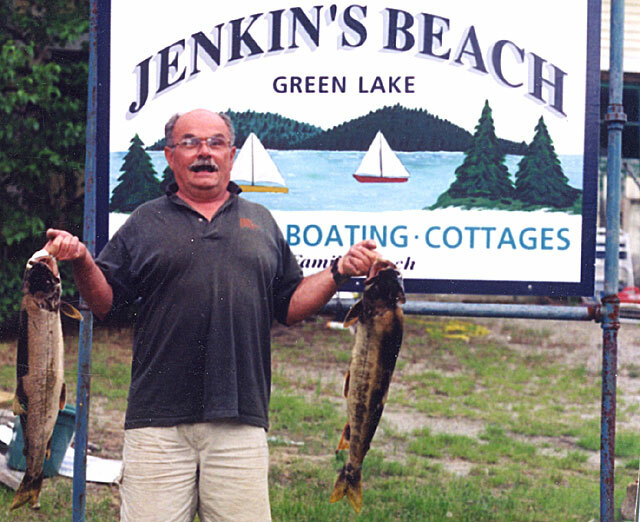 Jenkins Beach is tournament headquarters to many a Bass Fishing Tournament. 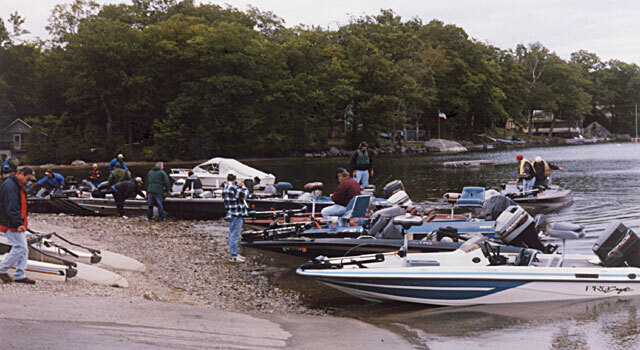 Here, anglers are readying gear and boats before the gun goes off.